We had a chance to visit a gold and silver processing operation run by friends of ours. Even though the precious metals are invisible, it was fascinating to see how they are extracted from tons of earth, and why gold and silver mining involves moving mountains. First Jonathan put a piece of raw material into the crusher. A couple of rounds later, the little pieces of raw material are all the same size. Each pile represents a truckload of material. The plant takes in metal-bearing loads from mines all over northern Peru. The raw material is tested several ways to assign a value and the supplier is paid. After that the loads are blended to create raw material that contains about 10 g of gold per ton. This goes into big drums with cyanide, sodium hydroxide and water and washes around and around until it is largely dissolved. 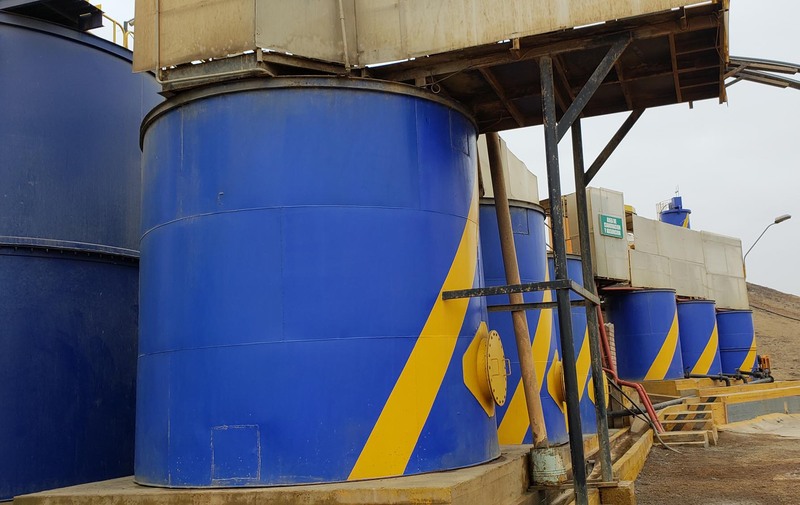 The liquid is put in tanks where it mixes with activated charcoal, the material in cigarette filters and water filters. 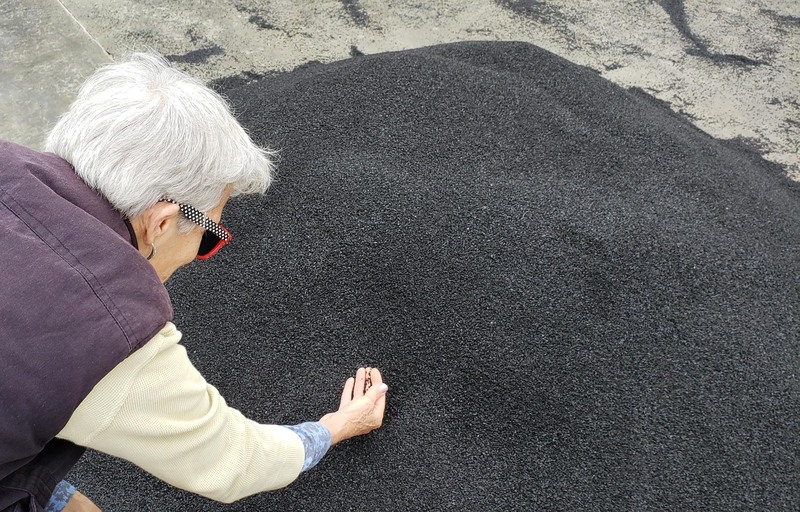 The microscopic particles of gold and silver are absorbed by the charcoal. This takes about three days. This charcoal has just been cleaned and dried and is ready to be used again. The end of the process is the dangerous part. The gold is removed from the charcoal by processing with heat and alcohol. The alcohol is highly combustible, but at the end, gold and silver are separated from everything else. 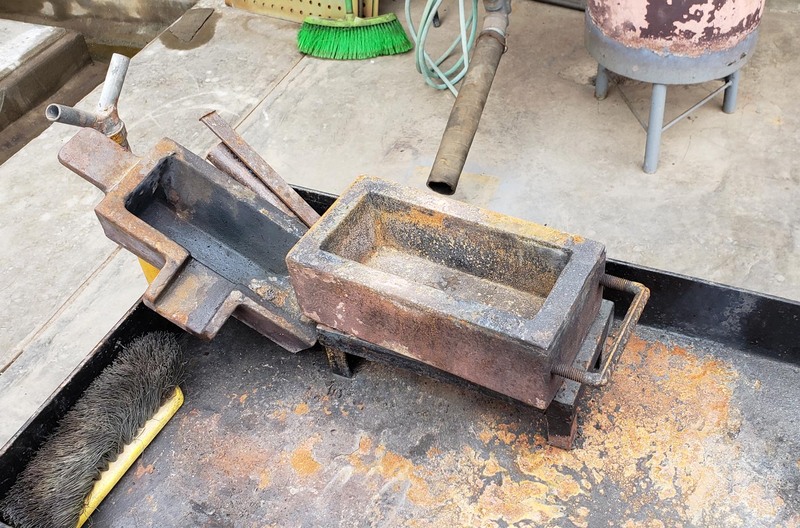 The final step is melting the metal into an ingot that is a mix of gold and silver. In batch of material they process (multiple truckloads) the result is about 5 kg of gold and 16 kg of silver. The plant runs 24 hours a day with three groups of workers who live on site during their ten-day shift. Our neighbors, the hardworking guys who run the plant, Miguel and Tito. There weren’t stacks of ingots lying around, they whisk the bars off to Lima to be refined into separate blocks of gold and silver. India is a big market for their gold. September is wedding season there and lots of people want new gold jewelry for important occasions.